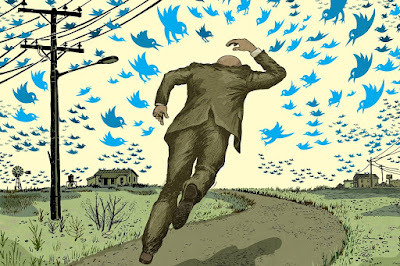 The picture above illustrates an article in The Wall Street Journal entitled, "When the Twitter Mob Came for Me." The article was written by a conservative political commentator, Kevin D. Williamson, and bemoans the fact that Williamson was, as he sees it, hounded from his new job at The Atlantic by swarms of unfair and largely unjustified comments relating to one of his long ago statements that was taken out of context. He suggested (not seriously, he claims) that anyone involved in an abortion should be hanged until dead. Another example of how an online "mob" might cause real grief, to real people, in the real world, is the story related by Jesselyn Cook, a Canadian-American journalist, who writes for HuffPost, and who seems to be of a more or less "progressive" persuasion, politically. Cook relates her experience with Facebook, not Twitter, and tells us about an online reaction to a picture, which made her look rather attractive, and an accompanying invitation to comment on whether she should be "smashed" or "passed." Cook identifies the comments made in response to this invitation (completely unprovoked by anything she said or did) as "sexual harassment." Her story is truly distressing. If you click the links, you can get the details of both Cook's and Williamson's experiences. It appears to be pretty clear that neither Williamson nor Cook were treated fairly by the online commenters who attacked and demeaned them. Is there something we can, or should, be doing about that? Basic tort law might well allow both Cook and Williamson successfully to sue those who harassed and demeaned them. Suing Facebook and Twitter directly, however, would not be a successful legal strategy, since such online platforms are legally shielded from liability for what persons who use these platforms say. The situation is analogous to the problem that you or I would have if we attempted to sue the telephone company because someone harassed us over the telephone lines. You can't successfully sue the telephone company for what someone says on the phone, and you can't sue an online service provider for what people say as they use their online service. Click right here for an outline of defamation law and social media. While the kind of attacks that Williamson and Cook suffered are genuinely distressing, and the power of social media to amplify such personal attacks is obvious, there isn't any easy way to provide additional help for those who have been attacked online, though we do need to be working on the problem. 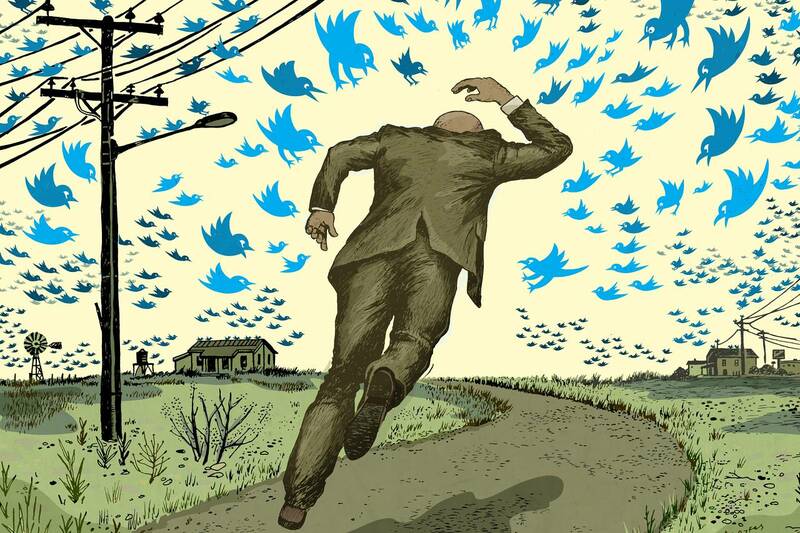 Considering how quickly the winds of contagion and outrage can disseminate hatred online, in a way that causes real world consequences, from personal attacks to murder, this might be another good reason to live more of our lives offline. In the real world, I mean!